The Golden Gate Chapter of the Association of Legal Administrators has been publishing their monthly newsletter The Bridge for many years. 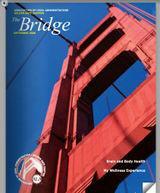 In an effort to reduce costs and increase interactivity, the Golden Gate Chapter turned to us to convert The Bridge from a print newsletter into a Flash publication. It is also possible to embed video and forms inside our Flash magazines.